Make sure your customers are satisfied with your business. According to a Forrester Consulting study commissioned by Oracle Marketing Cloud, the retail industry is paving the way for more customer-centric marketing techniques in the future. “By embracing new data technologies and taking an integrated marketing approach, retailers are able to create a digital dialogue with their customers and deliver the right messages at the right time,” Andrea Ward, vice president of marketing for Oracle, told CMS Wire. The study also found that businesses that take advantage of modern marketing techniques make more money than ones that stick with more traditional tactics. At its heart, modern marketing involves a highly personalized customer experience, usually through real-time big data as well as cross-channel statistical analysis and predictive analytics. According to the study, 46 percent of retailers apply modern marketing techniques to their customers, whereas only 31 percent of respondents in all other industries do the same. Retailers are also much more likely to devote time and energy to developing their e-commerce sites, which is another crucial part of any successful business in today’s marketplace. The study shows that the more you know about your customers, the better you will be able to meet their needs, and the healthier your business will become. It’s no longer an option for a retailer to remain in the past and ignore the data capabilities of the future. 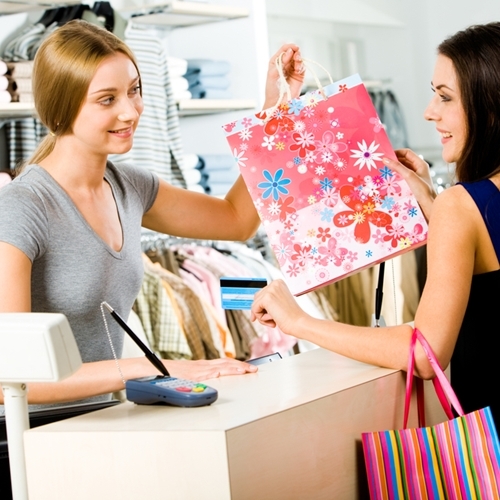 If you’re looking to upgrade your point of sale and inventory system, contact Visual Retail Plus today. We can help you set up a software framework that allows you to utilize every modern marketing technique, so your customers feel taken care of and special each time they buy something from your store.